Anvil Brewing is bringing their best game to the table with this 7.5 gallon stainless steel bucket fermenter that is loaded with features! 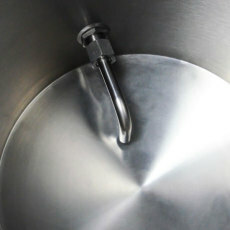 In addition to all the wonderful qualities of stainless steel, this fermentor has a coned bottom for settling of yeast and trub. 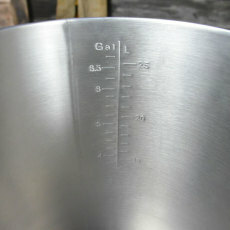 Etched volume markings help you know exactly how much fermenting beer you have. 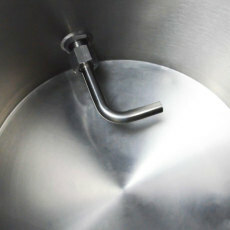 The rotating racking arm allows you to rotate and drain clear beer away from trub. It even includes a spigot with ball valve, stopper and airlock! 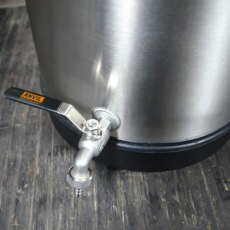 Perfect for 5 gallon batches of beer or even 6 gallon batches of wine. 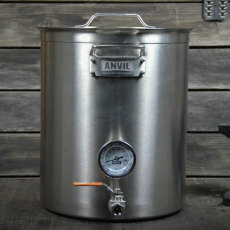 Durability and ease of use in a stainless steel fermenting bucket, all at a great price point, from Anvil Brewing! Coned bottom for settling of trub and yeast. Rotating racking arm makes racking clear beer a breeze! Ball valve and spigot for controlled racking. 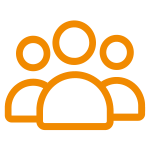 Latching lid to create a superior seal. 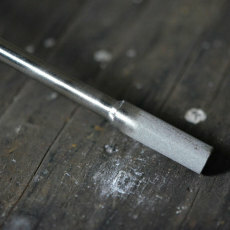 Width (handle to handle): 16.5 in. 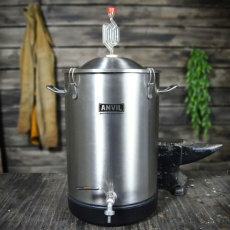 I really like this stainless fermentor but missed the mark in 2 areas. 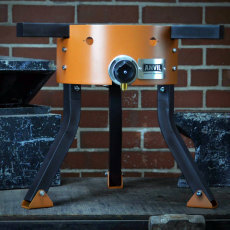 Should have the same locking ball valve found in Anvil boil kettles and the spout should be 1/4" not 3/8. Other than that it is a fantastic fermentor with tons of head room and super easy cleanup. 4 stars. I rarely make reviews on equipment, but Ive had this for around 3 months now and I think this fermenter is worth it. Great price, easy to use, easy to clean, and its around the same size as a bucket so I can keep using my heating pad with a thermowell and temp controller no problem. 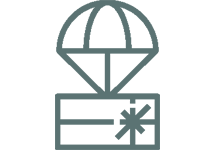 I didn't know if I would like the spigot they provide, but after using it the first time I realized it was actually a pretty good design. I cut a tube and put the barb and nut on one side with a liquid ball lock disconnect on the other to rack directly into the bottom of a keg after fermentation and its been super easy every time. Other good things about this fermenter: The handles are sturdy, theres more than enough head space (haven't needed a blow off tube yet), opening the fermenter is so easy, its surprisingly light, and probably the best price for a stainless fermenter. Ill never use plastic again.